If you’ve just landscaped or plan to refresh your backyard’s look, patio furniture is a surefire way to spruce up your outdoor living area. Even so, the thrill of shopping for patio furniture can be dampened after considering the sheer number of variety of styles and materials available. However, keeping in mind some key tips can lessen the pre-shopping confusion. 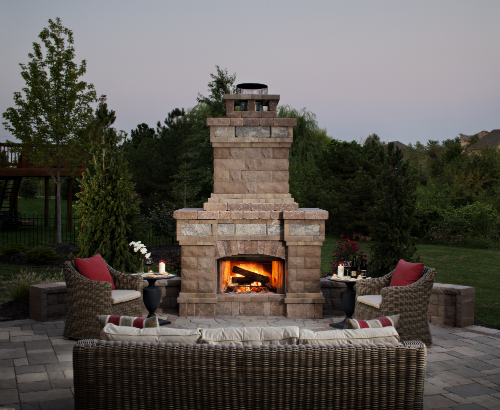 Below is a guide to help you select and purchase the best outdoor pieces for your home. First things first: survey the space where your furniture will go because the area will most likely determine the type of patio furniture you should purchase. 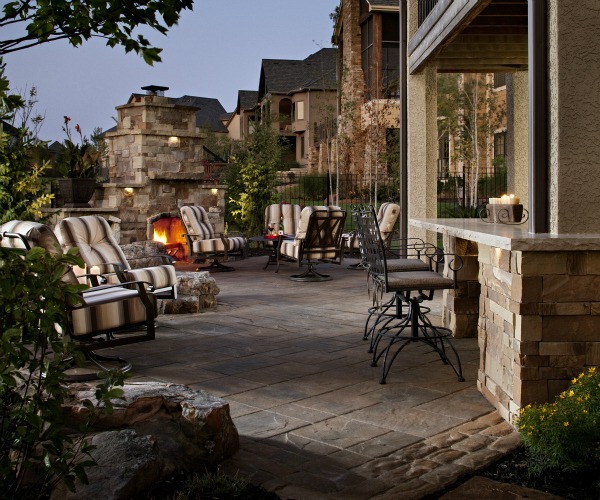 For example, if you have a large patio, you can find that the outdoor space is a continuation of your home. In this scenario, you can draw people outside to your “extra room” with an outdoor couch or chaise set that looks like another living space. 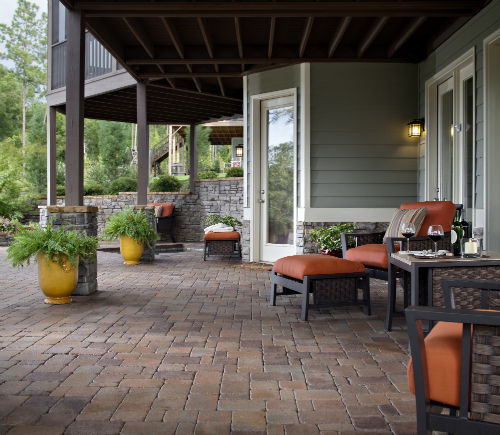 If your patio is extra small, you’ll most likely want to get the most use out of the least number of pieces. Here, you might consider a bar table set rather than a full-sized table and bar stools to conserve space. If you go with a regular-sized table, armless chairs can open up more room. Also look at what the furniture will rest on, for example, a hard or soft (grassy) surface. The answers can help determine if you need lightweight furniture or something more substantial. Most importantly measure the space that you’re planning to furnish. A few rules of thumb: chairs around a table take up about 24 inches of space, and you’ll ideally want to measure 24 to 36 inches from the back of the chairs to enable people to walk comfortably around them. Also, usually an umbrella should be about five feet bigger than the table for adequate shading. Get a good idea of how the furniture you’re considering will look by using chalk to draw their dimensions on your patio to check whether it will all fit in the space. You definitely want to buy pieces that are durable enough to withstand the elements. How much sun does your patio receive during the day? How much rainfall does your area get during the warmer months and how windy is it? 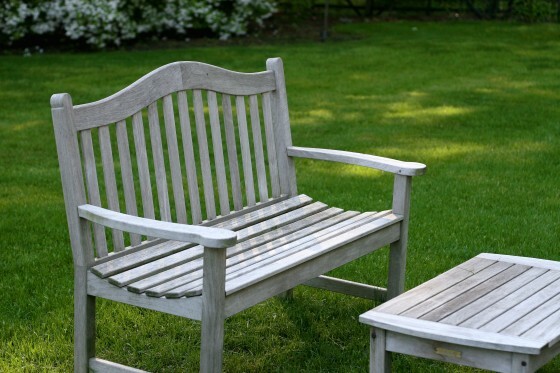 Wooden patio furniture will not last as long in rainy areas unless it is sealed properly and often. Sunnier climes may dictate you purchase a larger, multi-tilt umbrella and more fade-resistant pieces. Aluminum and steel poled umbrellas are sturdier, heavier, and better able to withstand windy conditions. If you plan on spending a lot of time on your patio, buy pieces that will stand up to your use and work for what you need. Will you eat a lot outside? Do you plan to entertain? Do you just want a quiet space for you and your family? The answers to these questions decide if you need a larger patio table with seating for six or a simpler setup. Choosing the right color is usually according to your personal taste. However, if the furniture will be out in the sun often, remember that darker umbrella and chair cushion colors may fade, changing the final look. In this scenario, go with shades in lighter, neutral colors. As for color coordination, many people match their patio furniture umbrella fabric with the patio furniture cushions. Of course, you may choose to match the color of your home’s siding or dominant color in your landscaping. The best deals on patio furniture happen after July 4th (especially grills) or in October, right before the weather start to cool down. Other people report good patio buying months as May, when stores make room for new summer models, and right after summer ends, for obvious reasons. If you have to wait for the right time to buy, consider updating your current outdoor look with new cushions, or other outdoor accessories. This is the make or break tip. Who wants to buy a nice-looking patio set and have it look faded, rusted and skeevy a few months later? Not you, probably. — Aluminum is lightweight and rust-proof. Also, aluminum can often withstand moisture and harsher climates. — Steel is heavy and strong, but will rust. — Wrought iron is the strongest and heaviest of all patio furniture materials, and while rust-resistant, is not rust-free. Wrought iron is the longest lasting material. — Wood is a beautiful choice, but will need painting, sealing, and treating more often than other materials. Teak lasts for a long while and will weather from brown to a nice gray. Cedar resists rot and bugs. — Wicker is lightweight and easy to move, but is more fragile against the elements. — Wrought iron that is powder-coated to repel rust. — Details like sturdy joints (e.g., dovetail joints, dowels and pegs) and stainless steel screws. Stainless steel hardware is more durable and won’t rust. — Foot glides and end caps that properly fit into the metal end cuts. Also, good manufacturers will match these pieces to the frame finish. — Cushions that are waterproof, washable, mildew- and fade-resistant. — Furniture that’s NOT glued or stapled. — Only tempered glass for safety reasons. The patio furniture material you buy dictates the level of upkeep. If you’re not the type to maintain often, take that fact into account. Stainless, galvanized, and powder-coated steel sets are wise choices as they’re durable and easy to maintain. However, if the finishes on these sets get scratched, you’ll want to sand and apply touch-up paint immediately to discourage rusting. 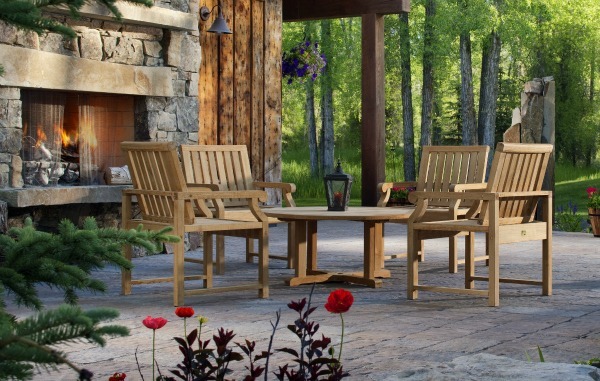 Wooden patio furniture requires more frequent sealing against the weather to protect its look. If you don’t have the time to maintain your patio furniture regularly, consider a material like PVC or plastic that can be cleaned quickly and easily. Some recycled plastic is made to look like wood, too, so appearance isn’t always compromised by going with these materials. Speciality patio stores and even department stores tend to carry good pieces because their reputation for quality is on the line, and their return policies for defective and sub-par pieces are usually more comprehensive. Sit in the furniture you plan to buy. Is it comfortable? Do you have enough room under the table for your legs? Is your back uncomfortably upright or unsupported? Also take notice of the cushions. Are they too light or too soft? This can indicate lower-quality materials that will flatten and sag over time. When you sit in the furniture do the chair legs spread out? Braces can eliminate this design issue and better support chair sitters. Another “test” you can do is to thunk the furniture’s frames. Nice quality, heavy-wall aluminum will thud as opposed to “tink,” which happens with cheaper, thinner aluminum materials. If your home is full of rustic furnishings and materials, you’ll probably want to carry that look to your patio. The same thing applies for modern homes, beach homes, and so on. And although we already covered color, you may want to complement your current interior color scheme with patio furnishings of similar shades. 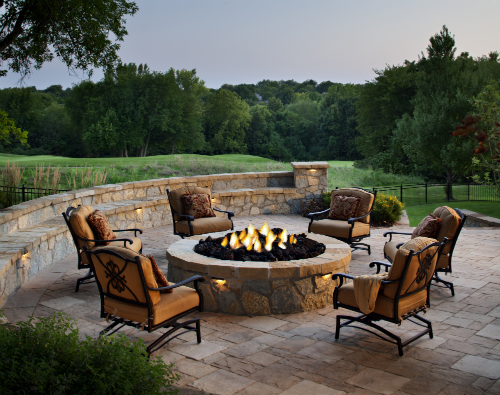 Choosing the right patio furniture blends elements of aesthetics, function, and comfort, and takes time. 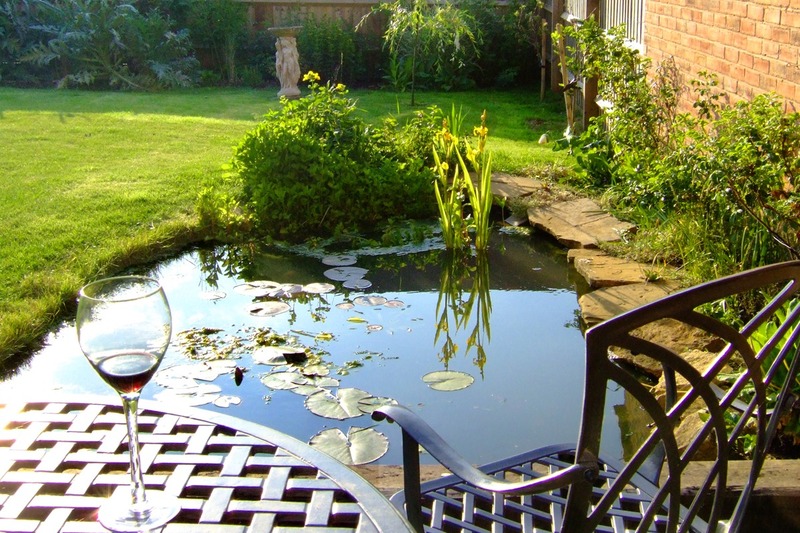 Once you do select the perfect set for your space remembering they key aspects of climate, materials, and maintenance, you’ll have patio furniture that lasts for years. 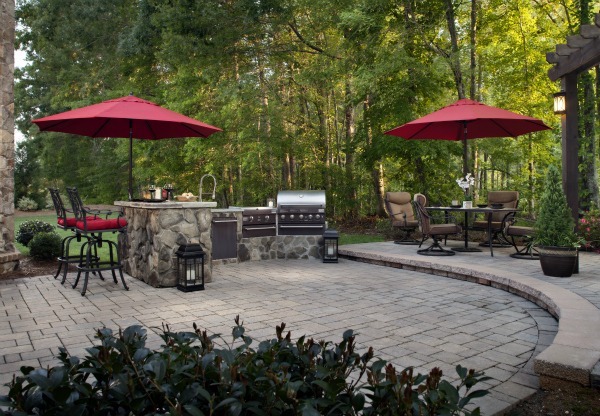 Do you have any outdoor patio furniture tips to share?